Office Brands has added five new independent office supplies dealers to its membership ranks this year, boosting attendance at its forthcoming annual Expo to more than 500 people, including dealers, suppliers and supporters. The new members are Peninsula Office Supplies (Mornington), Peninsular Office Supplies (Umina Beach), That Office Place (Picton), Mercury Business Supplies (Longreach) and Circular Head Office Supplies (Smithton). “At a time of such uncertainty in the industry, many independent business supplies resellers are facing increased pressure. To remain competitive and retain their independence, they need support that offers them big buying power, international procurement, differentiated marketing resources, flexible IT solutions and support services,” Office Brands CEO Gavin Ward said. Ward said the new members had expressed a variety of reasons for joining the national buying group. 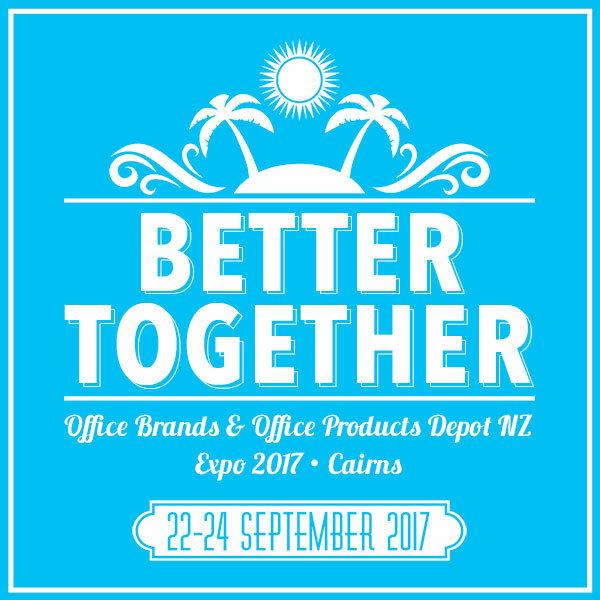 Office Brands and OPD New Zealand are co-hosting the annual Expo and conference, which has the theme 'Better Together'. See the November/December issue of Stationery News for full Expo coverage.